Season results can be found on the results archive page. Please direct all questions about the MadNorSki Race Series to racing@madnorski.org. 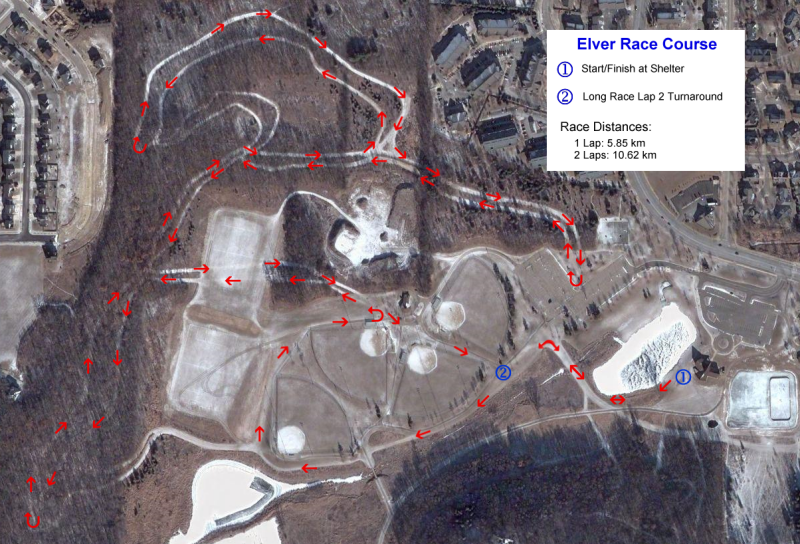 The MadNorSki Race Series will be held Tuesday nights on the lighted trails at Madison’s Elver Park. Race distances will be 5K and 10K (more or less) with both freestyle and classic technique races for each distance. Race registration will begin at 6:00 pm with races commencing at 7:00 pm. Information regarding each race will be posted to the XC email list prior to the race including schedule changes and cancellations. You will also see information posted each week here. All skiers are welcome. Results will be posted on left side of this page. 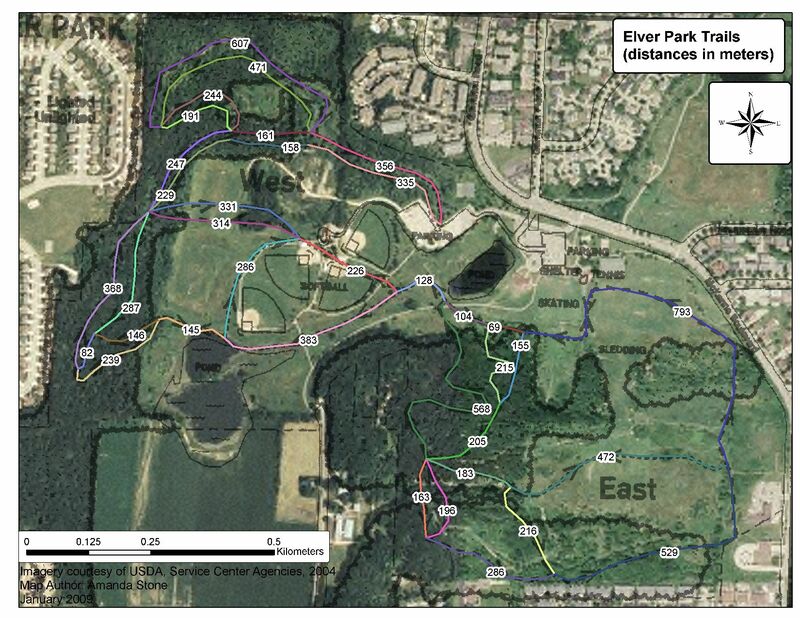 A typical race course map is available here and Elver park trail distances are available here. There will be a one hour time limit on all races. Trail Pass: A ski trail pass from City of Madison/Dane County Parks is required for all skiers aged 16 or older. To be eligible as a series competitor you must register for the race season series. Skier need not declare which category they are competing in and may compete in a different race length or style each week. Each skier finishing a race will be ranked in their category according to their finish (separated by gender only, not by age classes). First place will get one point, second place will get two points, third place will get three points and so on. You must have scores from three races in any given category to be eligible for an award. The skier’s best three race finishes in a category will be used for point totals, and the others ignored. (Any one skier can only place in one category at the end of the season) The lowest score wins. If any races need to be canceled the race committee reserves the right to change the number of races for tabulation. The race registration form and waiver can be downloaded here. There will also be team racing as part of the MadNorSki Race Series. A team may consist of 3-5 skiers. Only the top three skiers from a team will score points for the team on any given night. The racers on any one team DO NOT have to be in the same race. Scoring for a team will happen in the same manner as individuals. Your finish place in your race (separated by gender, but not age) is your point value. A perfect team score for a night would be three, from 3 different first place race finishes. If a team has fewer than three skiers on a given race night, they will be assigned “ghost” skiers to fill their nightly roster to the minimum of three A “ghost” skier’s place/points will be the last place in the race with the most entrants, plus one. There is no extra fee for registering a team, but all the skiers on a team must be entered as season skiers. We will assist with putting together teams from season skiers who are otherwise “unsigned” and have no team affiliation.